When was the last time you had your nails professionally done? Personally, it’s been a while. (About 12 years if my math is right.) I love the post-salon look of freshly primed and polished nails, but I can’t help but wonder what’s in my polish, and my body, when all is said and done. Plus, as someone who chews her nails when stressed, I like to keep my fingers au natural so I don’t end up eating paint chips. But I also hate the look of ratty nails—so, it’s a catch 22. 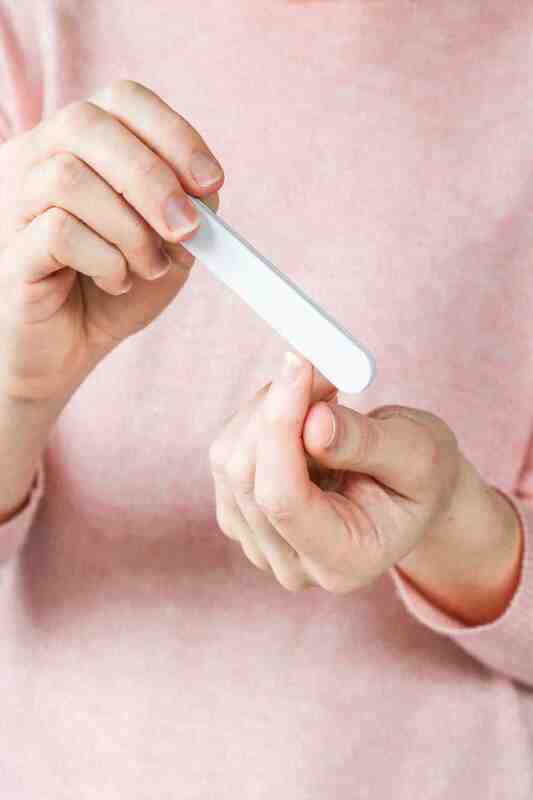 The good news is that if you know how to do a natural manicure the right way, you can still make your nails look tamed and “polished,” without the chemical-laden ingredients that most nail salons rely on. If you want pretty nails without the polish, here’s how to do a natural manicure at home in just 6 little steps. My mom has always had super brittle nails. They’re the kind that bend and break at the drop of a hat and crack when the weather gets cold. And while I thought I lucked out in the nail department (it sounds weird but my dad’s side of the family has really nice nails), I quickly learned that’s not always the case. Things like nail polish, acetone polish remover and exposure to too much hot, soapy water can wreak havoc on my nails. And once problems crop up, things like peeling and tearing are hard to tame without a lot of TLC. 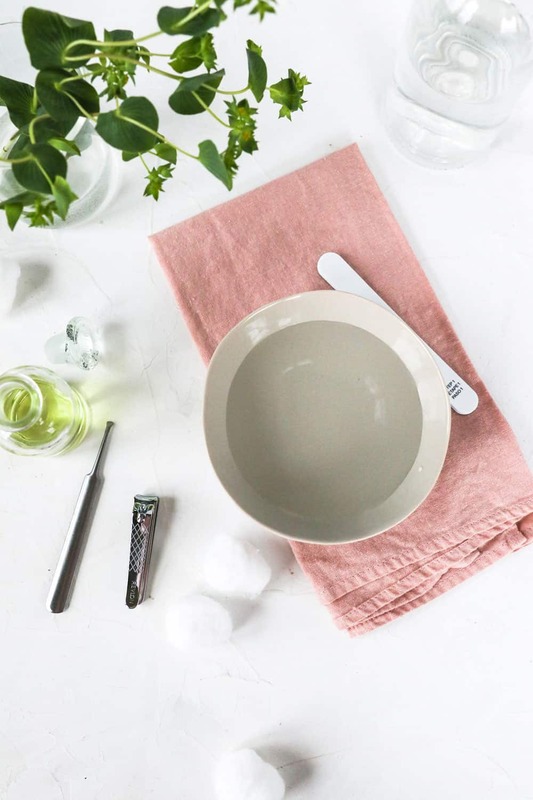 Grab your manicure supplies, because knowing how to do a natural manicure at home goes a long way toward keeping nails happy and hang nails tamed. Using small nail scissors or nail clippers, clean up any ragged skin around the nail and clip away any hangnails. If your nails are different lengths, even them out so they’re all roughly the same. Don’t go too crazy here; you just want to clean things up a bit. And whatever you do, don’t trim your cuticles like they do at the salon. In my experience, when they grow out you’re left with a big ol’ ratty mess. 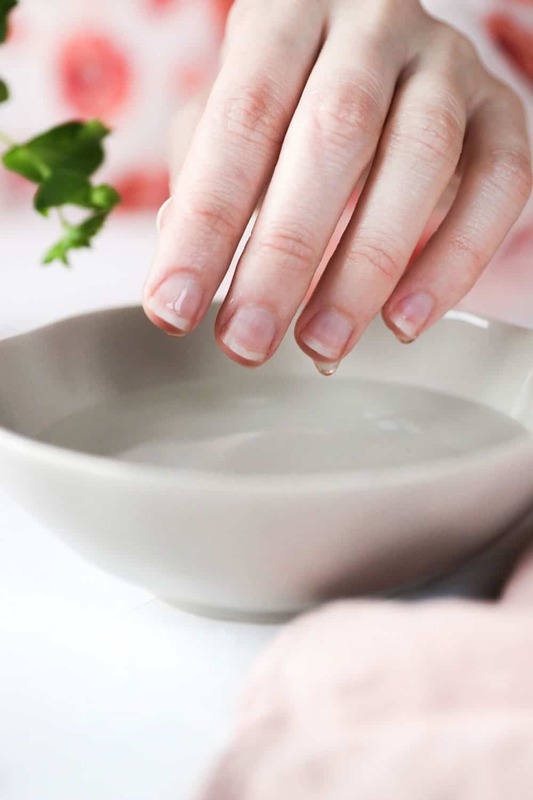 Soak hands in a small bowl of warm water for 2-3 minutes. The warm water softens cuticles and replenishes dry skin. If your cuticles are looking especially rough, add ¼ cup milk to help soften the skin and slough away dead skin cells. You can also add a bit of carrier oil or a few drops of an essential oil that’s good for nails, like myrrh. 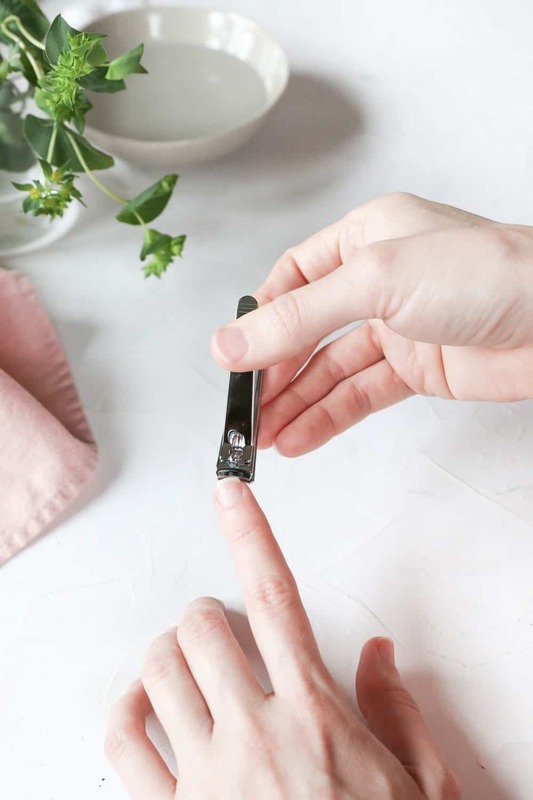 Using an angled cuticle stick, gently push cuticles toward the base of the nail. If your cuticles are in pretty nice shape, feel free to skip this step. Whenever I mess with my cuticles it often leads to more problems down the line, so I avoid pushing them back unless they’re extremely overgrown. Use a nail file to shape nails and round out the corners. It’s best to file nails in just one direction and avoid sawing back and forth, which can cause nails to crack. Using a buffing block (not a nail file), gently buff the tops of your nails with a back and forth motion. This helps remove ridges and gives nails a nice polish-free shine. If you have thin nails, go easy on the buffing block or you run the risk of weakening nails even further. Apply hand cream liberally to lock in moisture. If your cuticles peel and crack easily, give them extra attention by massaging vitamin E oil or a nurturing cuticle oil into the nails and cuticles once per day.